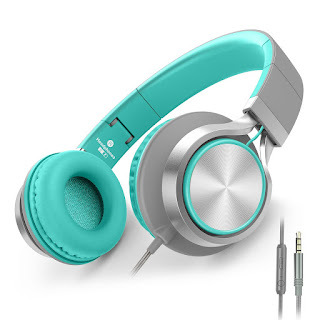 Head on over to Amazon where you can score these AILIHEN Headphones with Microphone for just $13.99 when you use the promo code 4ZZ7YVCP at checkout – choose from Gray/Green, Grey/Mint, Black/Blue or Black/Orange. These headphones feature an adjustable headband and cushioned ear pads for comfort as well as a tangle-free and braided nylon cord equipped with an in-line mic for taking calls and controlling your music. They also block ambient noise for better sound quality and are foldable so you can toss them in your purse or backpack when you're on the go!